This was shot during a mountainbike trip in the Himalayas of northern India. 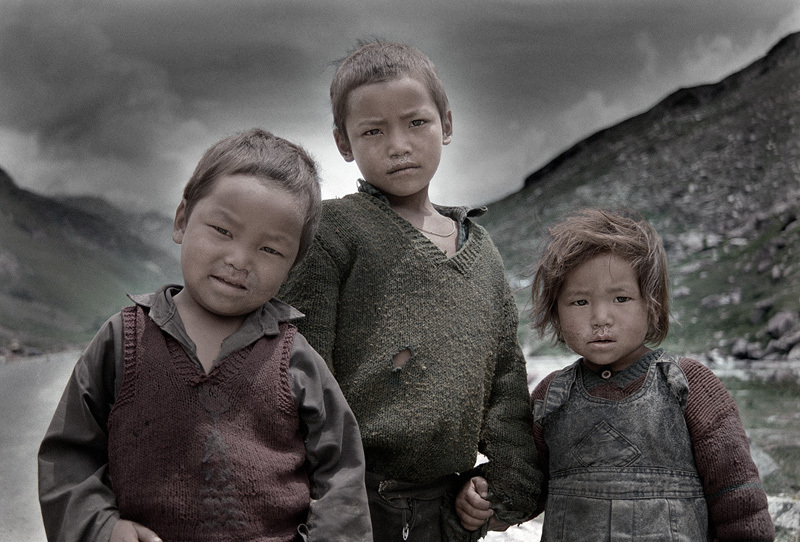 After an exhausting morning of high altitude cycling I arrived in a valley where I stumbled across this little girl and her two brothers. They were as fascinated by me as I was by them.